Alibaba.com launched Trade Assurance, a free service designed to create trust in trade by giving businesses peace of mind when trading with China. The ‘ultimate payer’ for the service are customers of Alibaba (suppliers) who qualify as Trade Assurance Suppliers. Through the use of data analytics on a supplier’s past performance and Alibaba.com trading history, Trade Assurance provides global buyers with a set of features and protections to help ensure a supplier honors certain details of their contract with the buyer. Trade Assurance is immediately available to all of Alibaba.com’s millions of global buyers that are ready to trading internationally. According to recent analysis from Frost & Sullivan2, B2B online sales will likely hit 25 trillion USD by 2020, accounting for close to 27 percent of total global manufacturing trade. Buying online from traders across the globe gives businesses access to a wider range of products and more competitive prices, but some businesses, especially small and medium businesses, are often reluctant to trade across borders due to concerns about payment security or product quality. A buyer’s deposit or pre-payment is protected up to 100% of the Trade Assurance Amount1. Trade Assurance assess every participating Trade Assurance supplier and assign them a Trade Assurance Limit* for covering buyers. The assessment is based on the supplier’s trade history and qualifications: the greater the supplier’s Trade Assurance Limit, the better their trade record on Alibaba.com. Buyers can claim a refund using Trade Assurance from Alibaba.com if their goods aren’t shipped on time or the quality isn’t up to scratch. If a settlement cannot be reached within 15 days, Alibaba.com will provide a full refund of the Trade Assurance Amount. Buyers will have more visibility into sellers’ transactional history and credibility. In using the concept of “the power of influence” a buyer is encouraged to make their voice heard. 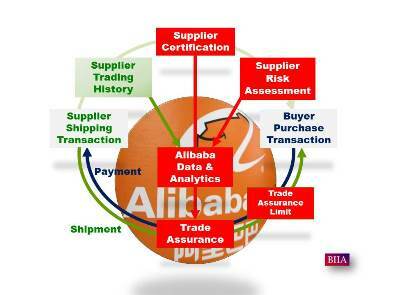 If the supplier breaches any terms of a contract, Alibaba will reduce the level of their Trade Assurance Limit. If there is a bad supplier experience with a supplier, one can let other buyers know through the Alibaba feedback system. In the first phase of its release, Trade Assurance will cover payments made by telegraphic transfer (T/T) and extend to other payments in future phases. If a buyer makes a deposit or pre-payment, and the supplier does not live up to the shipping time or pre-shipment product quality requirements agreed in the contract, the buyer’s money is protected. For more information on Trade Assurance, visit http://tradeassurance.alibaba.com/. About Alibaba.com: The first business of Alibaba Group (NYSE:BABA), Alibaba.com (www.alibaba.com) is the leading platform for global wholesale trade serving millions of buyers and suppliers around the world. 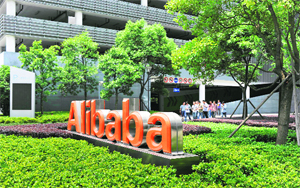 Through Alibaba.com, small businesses can sell their products to companies in other countries. Sellers on Alibaba.com are typically manufacturers and distributors based in China and other manufacturing countries such as India, Pakistan, the United States and Thailand. About One Touch: Established in 2001, Shenzhen One-Touch Enterprise Service Limited is China’s first provider of a one-stop import and export service platform targeting small and medium enterprises (SMEs). Through the Internet, it provides SMEs and individuals with services covering different procedures in import and export, including customs clearance, logistics, financing, etc. One-Touch has streamlined the business processes of global trade players by centralizing scattered trade-related services for SMEs and individuals, enabling them to lower operating costs, improve efficiencies and access capital for developing their business. One-Touch is committed to serving the SME sector by making it easy for SMEs to participate in global trade. 1 “Trade Assurance Amount” is the monetary limit that Alibaba affiliate One Touch has agreed to pay the buyer for, and on behalf of, the supplier in the event of the supplier’s breach of the Trade Assurance Services provisions in a Purchase Contract. 3 This feature is optional. Buyers must enable it when they place their order. Quality requirements will be guaranteed pre-shipment and upon receipt of the goods at port of entry.